Have You ever tried Cannabis Syrup? Did you know you can consume your cannabis in liquid form? Today we want to talk about THC Lean, the drink everybody is talking about. THC Lean is a cannabis-infused syrup that’s perfect for mixing with drinks. As the cannabinoids are delivered in liquid form, the effects occur a bit more quickly than your average edibles. How is THC Lean Cannabis Syrup made? Decarboxylated cannabis / cannabis extract is mixed with syrup which is then infused with the THC. Shatter, budder or wax is great for this because it dissolves smoothly without leaving plant material/residue. Reminding us a little of ‘Purple Drank’ that rappers talk about in the US, the notable difference with THC lean is that instead of Codeine the effect comes from THC. Some people do add Codeine to their Lean mixture, or use Codeine syrup, but we find the effects are perfect just using THC. The effects of Lean are similar to edibles and can last longer than smoking/vaping. Due to the fact that 99% of Lean being sold in the UK will have been manufactured under the radar and likely without strict quality control, the dosage varies. Some users report bottles which don’t have much effect. Some claim to have 1 gram of shatter or other extract inside and can be felt after a few sips worth mixed with a drink. 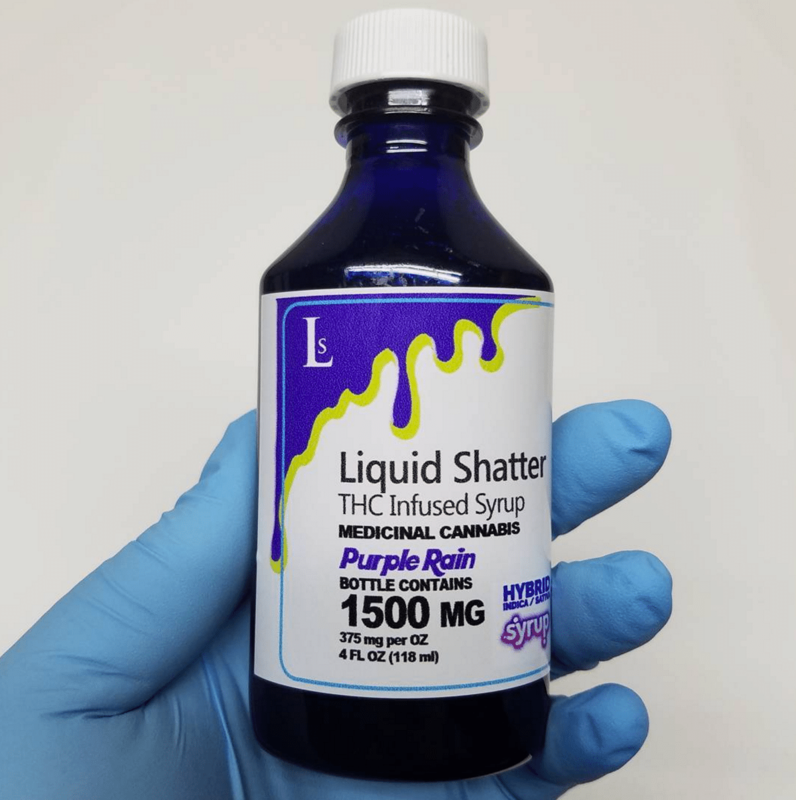 Again due to the fact that THC lean isn’t sold as a legal product, it is important to do your best to make sure there isn’t codeine mixed into your bottle, especially if you plan on consuming large amounts. If in doubt, start small. The THC Lean can be mixed with any drink, but we were advised that it works best when mixed with drinks and ice. 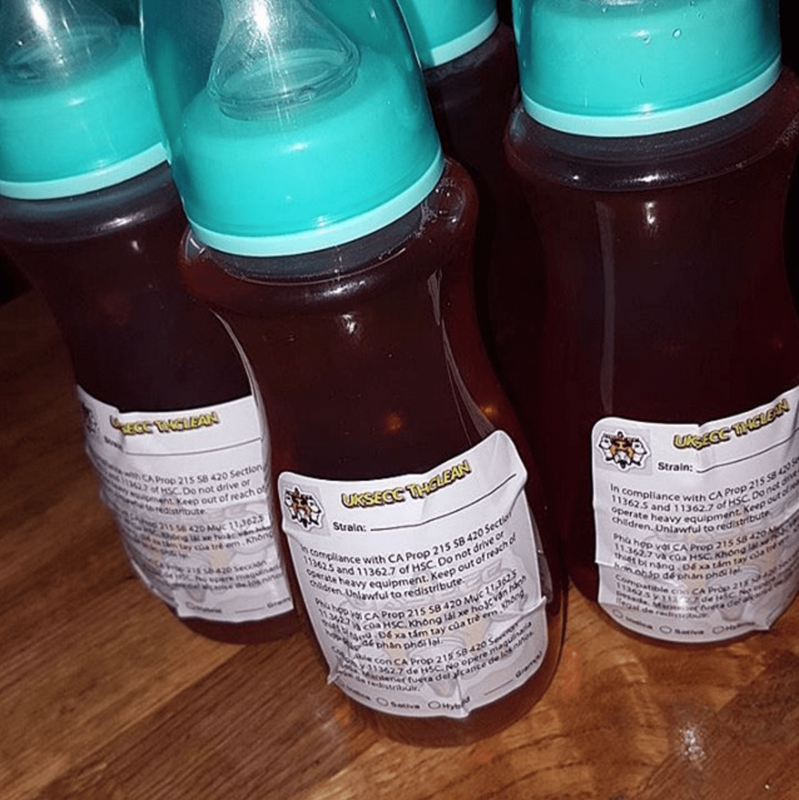 Overall we enjoyed THC lean cannabis syrup and found it to be an interesting alternative consumption method. If like us you’ve been smoking/vaping or even eating edibles for a while and fancy a bit of a change, THC Lean syrup is worth a try. We look forward to a regulated market where we can open our own Lean bar and edibles restaurant here in the UK! Love Cannabis? Check out our Cannabis Strain reviews updated every Wednesday. You can now also support the channel directly on Patreon and feature at the end of our videos! Click here to find out how.